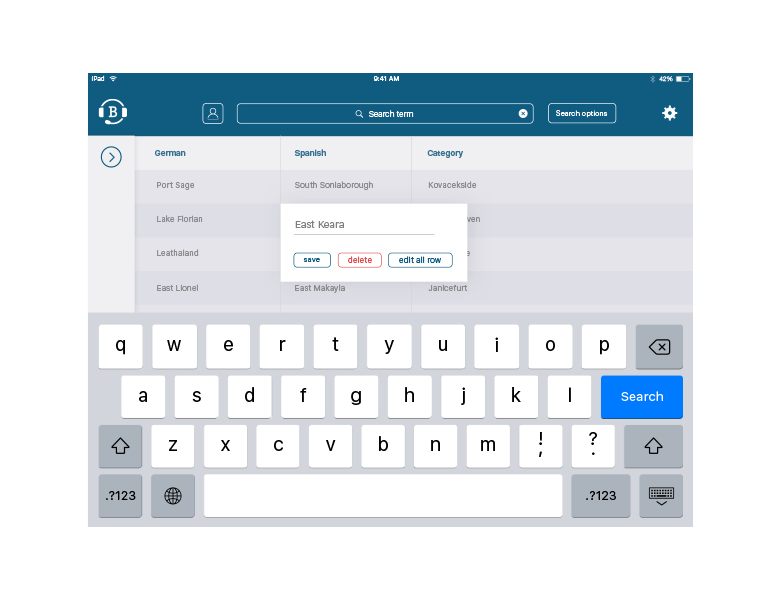 Boothmate is an application for iOS devices which was designed to help interpreters search terms in a more effective way. 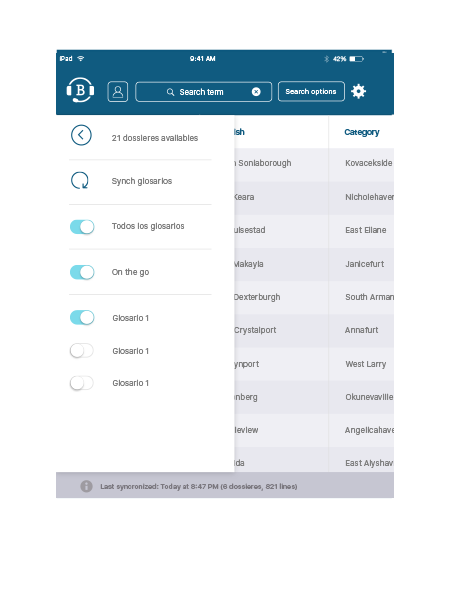 It enables users to proficiently use and share glossaries and work without the need for an internet connection. These new terms are then automatically synced to the users glossary when internet connection is regained. This application along with its desktop and web tools are linked with Interpreters' Help. 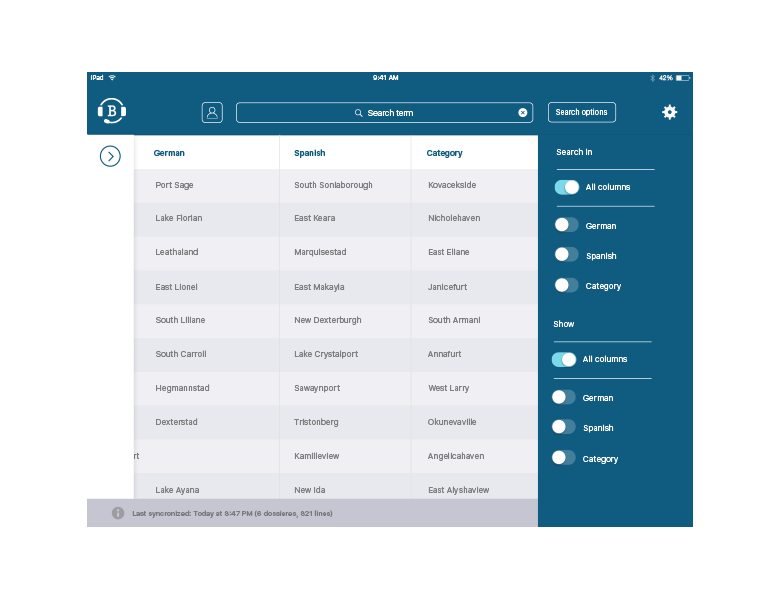 It is currently the official application for iPad of its kind. 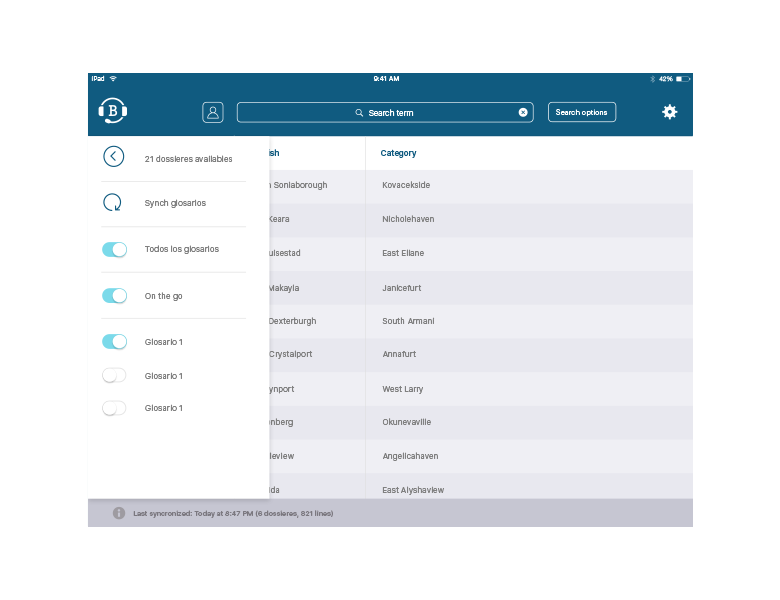 It has been developed primarily in Swift for iOS and is orientated towards iPads of all generations, resulting in the optimisation of each device and the ability to work on a bigger screen. Realm.io was also integrated in order to accelerate searches and the synchronisation of glossaries within the web platform. In order to improve branding, a logo redesign was completed with the aim of displaying a more iconic, simple, versatile and recognizable brand image. 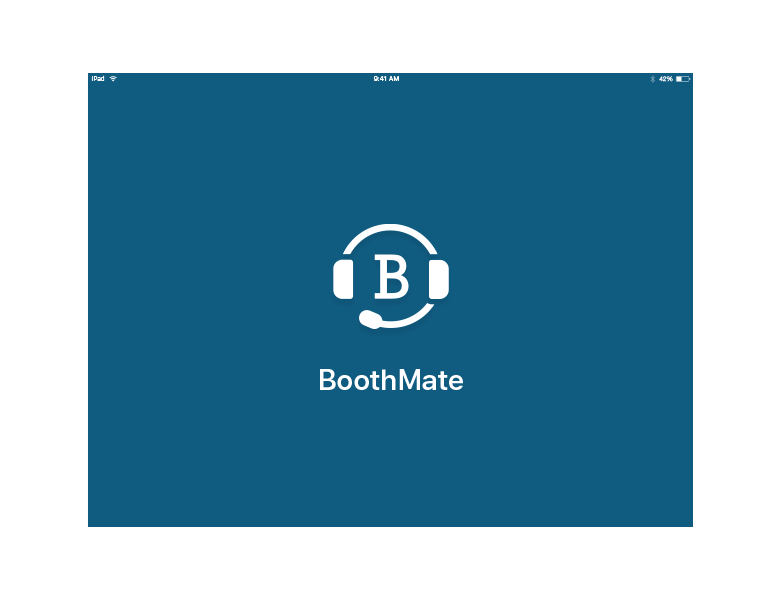 The design and functionality of the interface makes Boothmate one of the most useful tools for interpreters on the market. This application is linked with Interpreters' Help and its desktop and web tools. It is currently the most used application by European interpreters.